In 2010 there was a lot of Etsy-stress. You may or may not have heard about Etsy moving away from a 'normal' marketplace into the direction of a social networking site. This wasn't stated clearly but there were so many changes that after a while it became clear to those who wanted to know, that Etsy somehow is connected to Facebook. After having done that I worked on my photo formats. I only had larger photos in my shop previously. The idea behind these larger photos was to give a customer as much photo as possible for the given shipping costs. Shipping internationally, it is these costs that dictate what I can offer. I have added to both my shops smaller formats now (5“x5“ and 5“x7“), which I sell as sets. 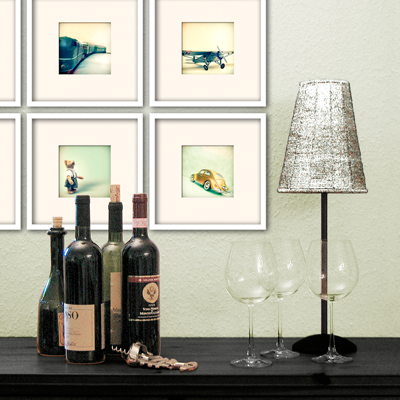 Instead of getting one larger photo at least a customer can choose to get several smaller photos now. We'll see how this works out. Something else quite important: Etsy has implemented a feature that allows sellers to add and show prices in their countries' currency. I've changed my prices on Etsy to EURO. For those, whose curreny is EURO, this is the cheapest way to buy from me. On ArtFire, my prices are in US-Dollar. If you want to pay me in $ US, my ArtFire shop would be the best option for you.